A vast army of talented engineers and other construction professionals are working flat out to complete massive projects in the UK, including Crossrail and the Thames Tideway Tunnel. Will Brexit affect investment in these construction projects, as well as the cost and availability of materials and labour? But a major concern is the cost of hiring the tunnel boring machines used on major projects. David O’Reilly, vice president of KBR, formerly Kellogg Brown & Root, says plant costs could soar, but expects financing of the machinery to have been managed by buying euros at forward rates, thereby minimising the effect of detrimental fluctuations in the exchange rate. Mr O’Reilly, who is project director of the Qatar Expressway Programme, urges UK construction professionals to look beyond Europe. “For UK businesses, the world is your oyster. We have considerable skills. These skills have no association with Brexit. There is an appetite for UK professionals. That is why KBR has been trading successfully for the last 30 to 40 years,” he says. The UK is a world leader in construction and civil engineering, but labour costs are another major concern. “UK construction is becoming increasingly dependent on skilled labour, as well as unskilled labour, from overseas,” says Mr Frost. "It is possible labour costs will go up if the UK is less able to access labour from overseas", he says, also expressing concern that immigration controls might be introduced which could prevent or deter workers normally resident outside the UK from coming here. There are simply not enough British workers to meet the demands of the construction industry. Although there is a considerable amount of optimism about willingness to invest in large infrastructure projects and confidence in the UK’s construction workforce, many people are still worried. Also, he is concerned about the supply of labour: “There are simply not enough British workers to meet the demands of the construction industry and Brexit threatens to diminish EU resources further,” says Mr Goldman. According to London Assembly figures in February 2017, 25 per cent of construction workers in the capital were from the European Union. 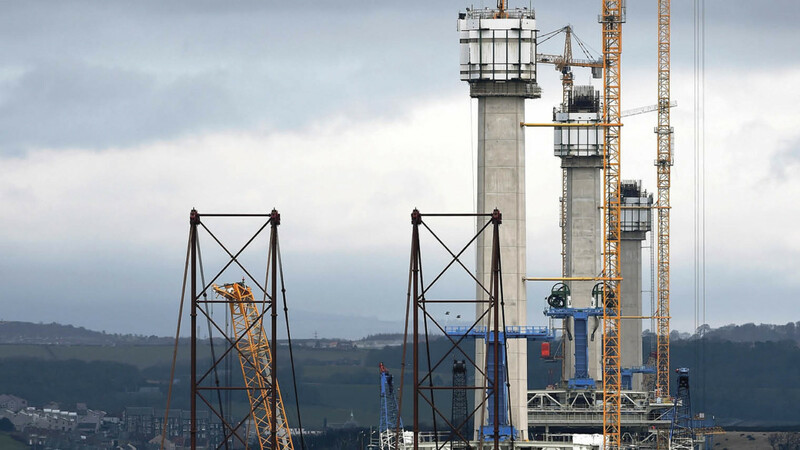 In mid-May, the Brexit Infrastructure Group of the Institution of Civil Engineers sent an open letter to leaders of the political parties, outlining the risks faced by the infrastructure sector ahead of the general election and Brexit negotiations. It said the government must clarify the UK’s future relationship with the European Investment Bank following departure from the EU. “The Brexit Infrastructure Group has offered a three-part strategy to ensure Brexit does not disrupt the delivery of the planned pipeline of major infrastructure projects, which underpins government’s current efforts to drive up UK productivity. This planned pipeline will require £500 billion of private investment over the next ten years,” the group said. But the Royal Institute of Chartered Surveyors (RICS) warns of difficult times ahead. RICS says the UK construction industry is “already facing skills shortages, jeopardising a predicted £500- billion project pipeline” and adds that “8% of the UK’s construction workforce comes from the EU”. “Post-Brexit, should the UK lose access to the single market, 176,500 jobs could be under threat,” RICS warns, adding that “30% of construction professionals surveyed revealed that hiring non-UK workers was important to the success of their businesses”. Key Brexit challenges facing infrastructure and construction. The commercial implications of Brexit.